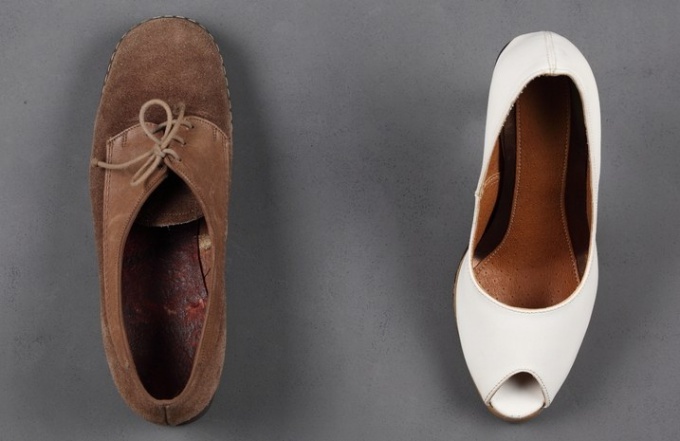 To stick shoes in the home, without going to a Shoe shop. Although, this master is much easier, and the result will be long lasting. But if you do decide to seal your favorite shoes with his own hands, be patient, the glue will not dry out for a few minutes, it will take about 24 hours. Well wash the shoes and let it dry for at least a day in a warm place. If the moisture is completely evaporated, to glue the materials to each other will be very difficult, and the shoes will break again in a few days, especially if the street is wet weather. Apply a small amount of acetone on a rag and thoroughly wipe material. It not only removes the remaining particles of dirt, but will degrease. You can also use for degreasing gasoline. If the gap between the two parts of the Shoe is large, treat the surface with emery cloth. Smear glue on the place that you want to glue. Wait 10 minutes, then strongly squeeze and hold. Place the shoes under a press for 24 hours, during which time the glue is completely dry. For repair of shoes it is better to use glue, but super glue doesn't work well, though, and dries in minutes. If the shoes fell apart again, you can flash it, but make it your own is problematic, in this case it is better to consult a cobbler. If you decide to flash shoes for yourself, use a needle and thick Shoe very durable nylon thread. Try to flash along the line of the sole is approximately 2 mm below the place where the material begins immediately. 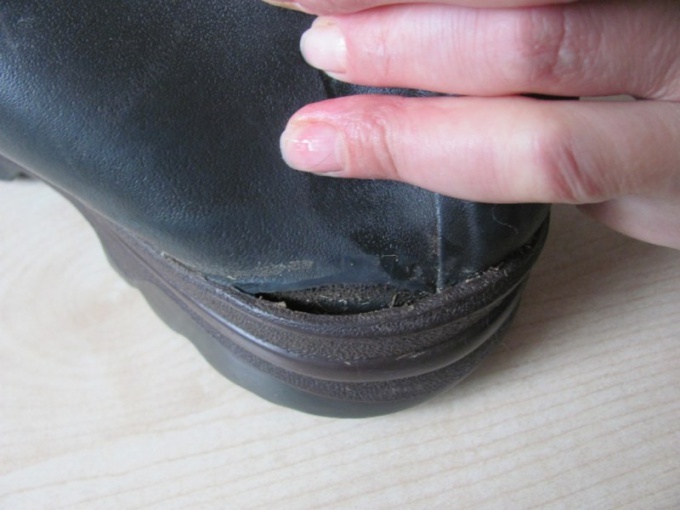 If your favorite shoes or boots were detached from the sole, you can fix them yourself. Having at hand the necessary materials to do so is not difficult. Importantly, just follow the instructions. Then shoes will last you even one season. Before beginning repairs, find out what made sole. Usually it is rubber or polyurethane. If the rubber sole, clean it of dirt and thoroughly degrease using pure gasoline. Then apply glue 88Н and wait until it dries. It usually takes 10-15 minutes. Stuff the shoes with newspaper or any thick paper. Place it under the press for 8-10 hours. If the sole is made of polyurethane, clean the place of adhesion of dirt and degrease with clean gasoline. Take a flat needle file and gently scratch the painted layer of the skin. Degrease again the repaired surface. Using a heated soldering iron, you can spread small pieces of butter (cut from the soles of old) on the skin in a place that is in need of repair. Squeeze the sole and the upper part of the Shoe in a place of bonding and swipe between them with the soldering iron. Keep in mind that repairing this type of soles take a bit of practice. Accurately maintain the pressure between the sole and the upper part of the Shoe and watch the temperature of the soldering iron. The device should be warmed up much. If the sole has peeled off of the setting on the shoes edge, it can be repaired another way. Clean the damaged area from contamination and degrease with clean gasoline. Apply on the soles and on the upper skin in place repair glue 88Н. After 10-15 minutes of struggling to press the sole to the top. Take dratwa (durable twisted linen thread), grated shoemaker's pitch. With the awl and a special Shoe hook sew the soles to the uppers. Remember that the seam should be at a distance of 4-5mm from the top edge of the sole. If sole there was a small crack, and she began to come off, you will need glue 88Н and forward (prevention). Clean the damaged area and degrease it with a clean gasoline. Apply glue to the sole and on prevention. After 15 minutes, stick a reel on the soles and put under the press for 8-10 hours. Unfortunately, the Shoe sole sometimes crack. Typically, overlays, installed the crack, do not give the desired result - the footwear continues to get wet, and "patch" quickly falls off. How to repair a broken sole? Gently clean the soles from dirt and dust. Thoroughly coat the inside crack surface with sandpaper. Wipe with acetone or gasoline to degrease. Cut the edge of the sole around the crack to a width of 5-7 mm using a shoemaker's knife. The depth of cut shall be one millimeter. Carefully measure the depth of cracks in mm. Add to this the value of 15 mm. Take the old bike camera, and cut from it a strip, the width of which will correspond to the result obtained. Strip the strip with sandpaper. Degrease using gasoline or acetone. Miss a strip of rubber adhesive on both sides. While on the one hand the adhesive must cover the entire surface and one must leave the edges dry. The width of these edges should be 5-7 mm. Take shoes that need repair, and bend it so that the crack on the sole as disclosed. Carefully apply glue to the damaged area and let it dry for 10-15 minutes. To close the rift when it should not. Take a strip of rubber and bend it in half. Gently put in a broken sole and straighten shoes. Firmly press the edge of the strip protruding from the cracks to the bottom. Put the shoes under the load for 24 hours. Repaired in this way, the shoes will serve you. Pour a broken sole, molten nylon. Dry, clean and degrease the crack. Heat the soldering iron and slide it across the inside surface of the damage. The leather or rubber from which the sole will start to bubble and become sticky. Take a small piece of nylon, apply to the crack and press it with soldering iron. RUB the melted nylon in the damaged area. Repeat this process until until the crack is completely gone. Note that to spread the melted nylon does not need a hot nose of the soldering iron and its handle. Of all component parts of the Shoe most likely to damage and wear prone to sole. Method of repair depends entirely on what material it is made and how is attached to the top of the Shoe. The place where the departed polyurethane sole, clean from dust and dirt and degrease with gasoline. Then at the same location, remove the flat needle files painted a layer of skin, and again perform degreasing. Heat the electric soldering and gluing on the skin and smooth cut from the soles of old pieces of polyurethane. Squeeze the top of the Shoe and sole , and hold them heated part of the device for a burning out, treat the area of bonding. While zaglubljaja heated element to postilki. It is important to precisely follow the temperature of the heating device and the pressure between the top and sole, which will require a certain skill. If the edge is overlaid with polyurethane soles up, on the cleared and fat-free area, apply a layer of glue. Then soak 15 minutes, squeeze the sole to the top of shoes and sew grated Shoe pitch stitch. The seam must go to a distance of 5 mm from the top edge. If unstuck sole – rubber, skim the repair, apply the glue and after 15 minutes of drying pressure-tested shoes. If the rubber sole is drifted, it is necessary to align the Shoe rasp and degreased gasoline. Also degrease the soles of finely porous rubber. Cover the trail and the sole of a thin layer of glue and, after 10 minutes, glue the way forward. Acting for the sole edge of the track cut away with a knife, align the rasp and smoothen the abrasive cloth. To repair the leather solesneed sole of similar material. Place the sole on a metal surface such as iron or an iron anvil, with flesh side up. A heavy mallet with a large bacom, emboss it, starting from the middle. Place embossed soles on the soles and at the time we secure it with a couple of nails. Cut the edge and sew, pre-cut by one-third the thickness of the groove in which the seam will be hidden. Sew a sole using a Shoe needle stitch, grated shoemaker's pitch. After sewing it over the slot with glue and hammer to close it. 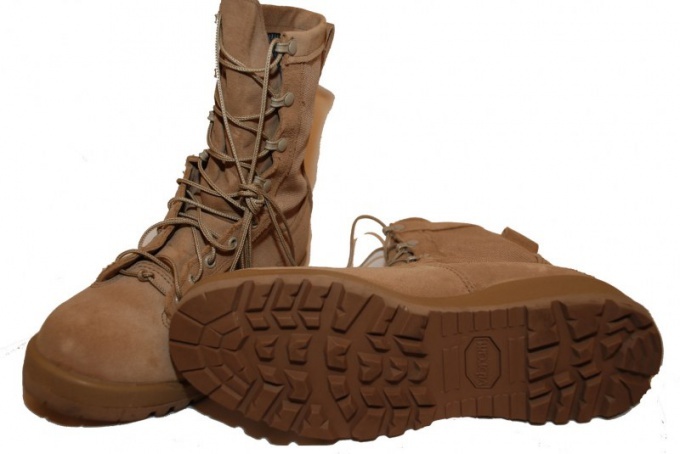 Shoes during active operation may be deformed. On it there are holes or apart seams, and you have to sew or glue them. For this you can contact the workshop or try to do everything yourself. Select the method of bonding is necessary, depending on the defect to be corrected. Try to put on shoes the patch, if the nature of the damage allows you to do this. Take any piece of leather, cut it to the necessary form, given the allowance it needs to be a few millimeters larger than the damaged area. Abrade the surface before applying the adhesive from dirt and slide degreasing. Do this with soaked in acetone swab. After this process is designed for bonding surfaces with sandpaper – so the surface give the roughness to the glue had something to hold onto. For rigidity you can fill the shoes with paper or Shoe insert. Apply glue to the area where you will apply the patch. The method of application will depend on its type. Some of the varieties of adhesive may be applied in one thin coat, then give him a little bit to dry and connect the surface. The use of any other types may need to do things differently: apply the first layer of glue is left for drying. Then applied a second coat, a little too dried, and now the surface should be as hard as you can push each other. Connect the surface, smeared with clay, and create a burden for them. 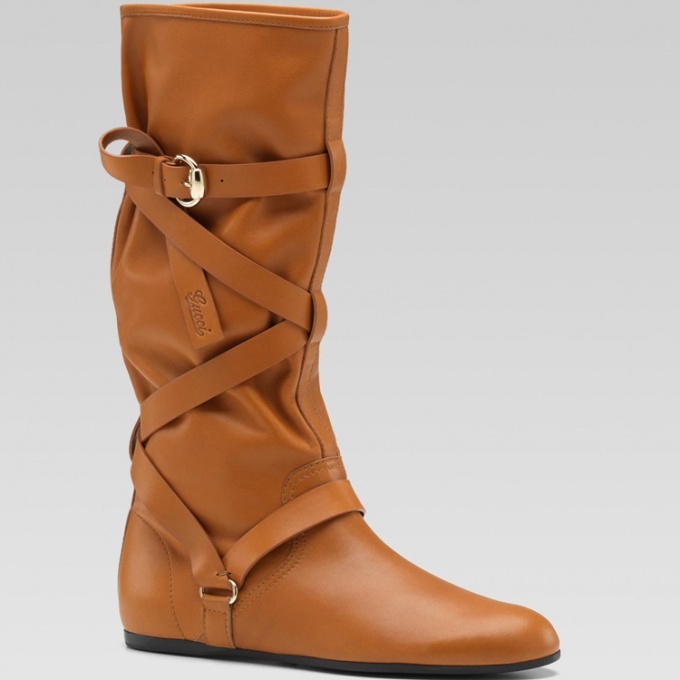 For example, a Shoe or boot can be tightly bandaged, or pulling the top leg of the chair, like "shoes" it. The leg will commit the patch in one place and it will crush her with his weight, providing a tighter grip. This method is safer, but you should be careful shoes may be deformed, if the pressure is wrong. To harden the adhesive may be from three to ten hours, the exact time indicated on the package. After complete curing of the product, you can start to use it. If necessary, the sealing Shoe we can talk not only about the damage to the top of the product. Often damage is the sole detached from the Shoe. Treat the surfaces, which must be applied the glue, soaked in acetone swab. Wipe with a clean cloth. Apply the first layer of glue and leave to harden. After that glue the elements of a good press towards each other and lock in this position. Before using glue, read the instructions carefully on the packaging – this will help you to see exactly what should be your actions. To use the shoes only after complete curing of the adhesive. Use the sealing rubber adhesives, as "PVA", "Moment" glue, rubber and the like. The adhesive on the polyvinyl acetate can be applied only in cases, when the product after bonding will not come into contact with water.